Dedicated leaker @upleaks has been doing the usual, dropping press shots of devices that haven't yet launched but will allegedly soon grace our presence. A recent revelation has been the Moto X Force, codenamed Bounce, that serves as a smaller but beefed up version of the Moto X Style (also known as the Pure Edition). 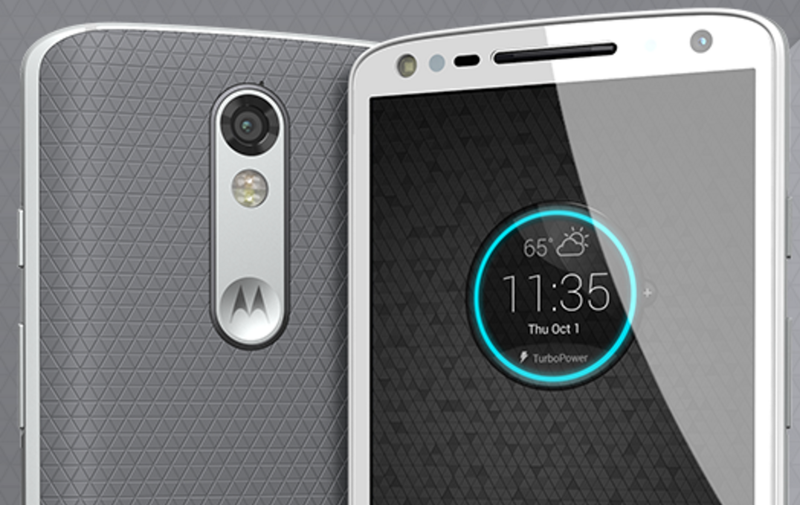 This device is allegedly coming to the US as the DROID Turbo 2, a Verizon Wireless exclusive. Relatively few logos by Verizon standards. 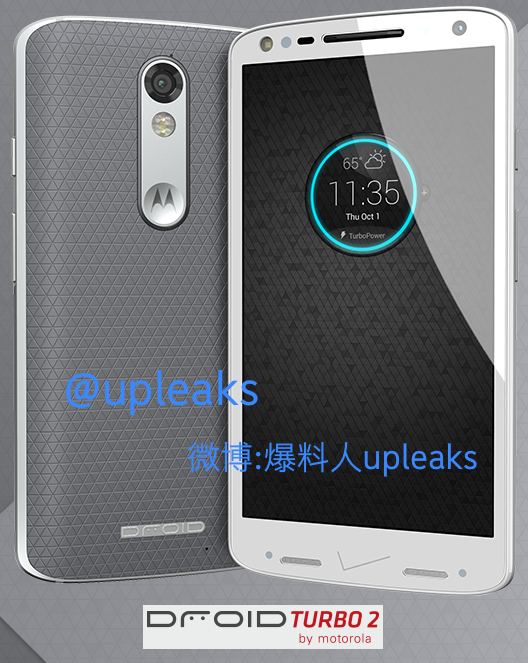 Just in case you don't keep your eyes glued to @upleak's feed, here's the rumored Moto X Force. Like the previous Turbo, the second iteration again enhances the Moto X that serves as Motorola's flagship. Upleaks's specs for the Moto X Force (as the device will be known internationally) claim the device will have a 5.43-inch WQHD shatterproof display. The shatterproof part matches what we heard before, that the Turbo 2 will come with an "Unbreakable" POLED screen. @upleaks goes on to mention a Snapdragon 810 2GHz octa-core processor, 3GB of RAM, 21MP/5MP cameras, 32 or 64GB of internal storage, and a microSD card slot. These numbers are the same or higher than what we see on the Moto X Style. Only the screen, at 5.43 inches compared to 5.7, is smaller. The battery, mentioned in an earlier tweet, comes in at 3,760mAh. That's quite a bit more than the Style's even 3,000. Lastly, look for the Droid Turbo 2 to show up in October, with the Force launching in other countries sometime thereafter. And if you would prefer the longer battery life promised in the Moto X Play, well, Verizon Wireless is getting that too.